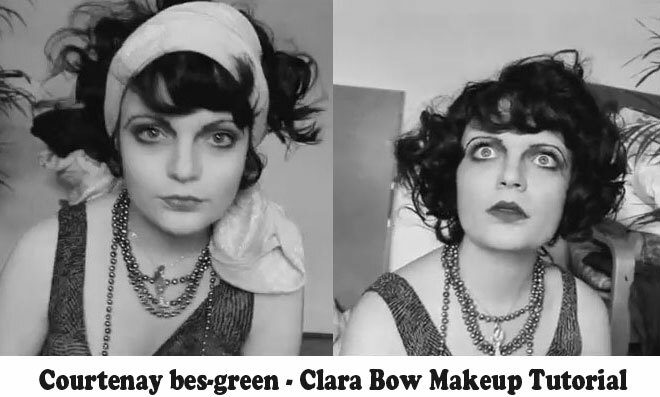 Clara Bow Makeup Tutorial – 1920’s Hollywood. 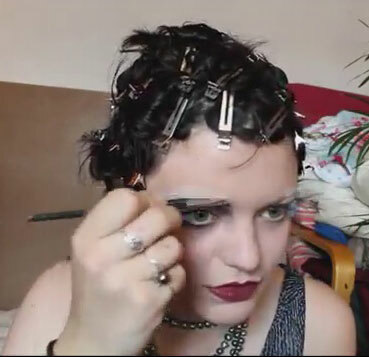 A quirky no nonsense 1920s makeup video tutorial from Courtney Bes Green. 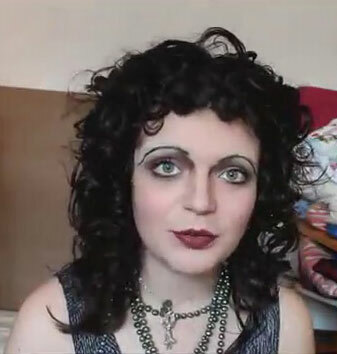 I think this girl has really nailed the Clara Bow hair and makeup look. Prime and moisturize your skin. 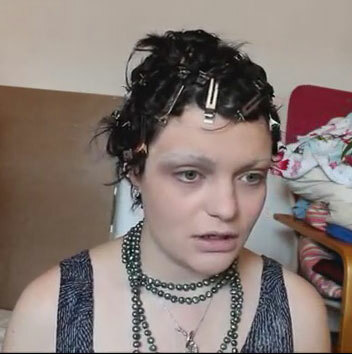 Thick coverage of foundation followed by skin concealer to get that pale skin look. 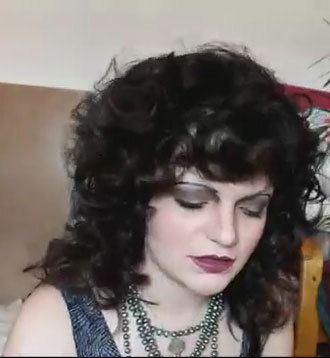 To create that 1920s Eye Makeup look – Courtney then uses dark brown eyeshadow to go with her green eyes. 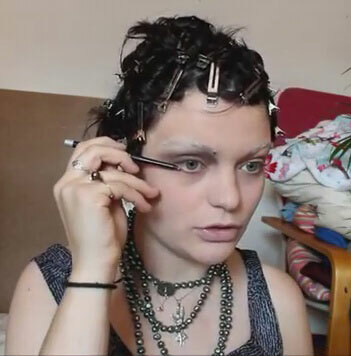 Courtney then draws in new eyebrows – starting before her tear duct and extending way out beyond her natural brow end for that wide eyed 1920s look. 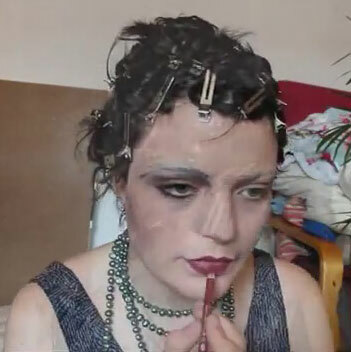 Courtney then ‘contours’ her cheeks to get that small Clara Bow face look. Lipstick – Clara had small defined lips so it’s a cupid bow look for the lips. 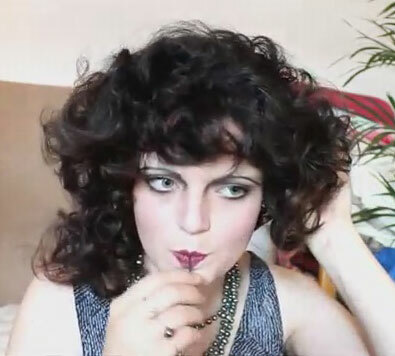 Courtney opts for a plum lip liner and lipstick. Finally – a MAC liquid liner to define and complete the brows. The hair is fluffed up and …. 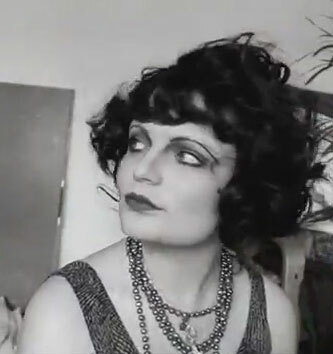 Voila – Clara Bow ! Well done Courtney! 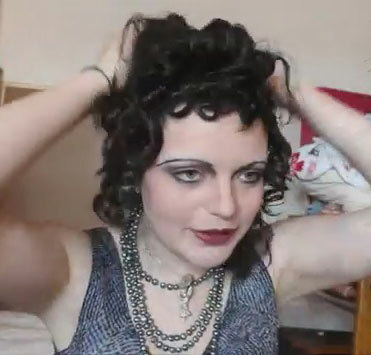 Courtney finishes up by recreating an iconic headscarf look of Clara Bow. 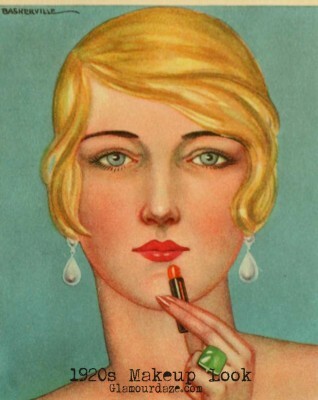 Download direct to your phone, tablet or PC – gorgeous vintage makeup guides from the 1920s and beyond. 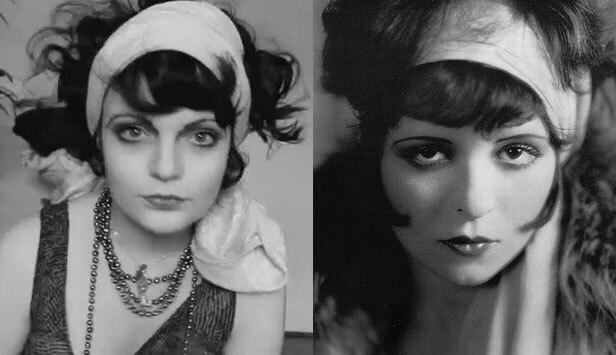 Check out the History of 1920s makeup.